To promote their brand’s best with the least expenditure, Motus GI needed a bold 10×30 exhibit backwall that let them rent as much as possible. To reflect their brand image, they desired a clean and high tech aesthetic paired with an ability to easily demo their product. 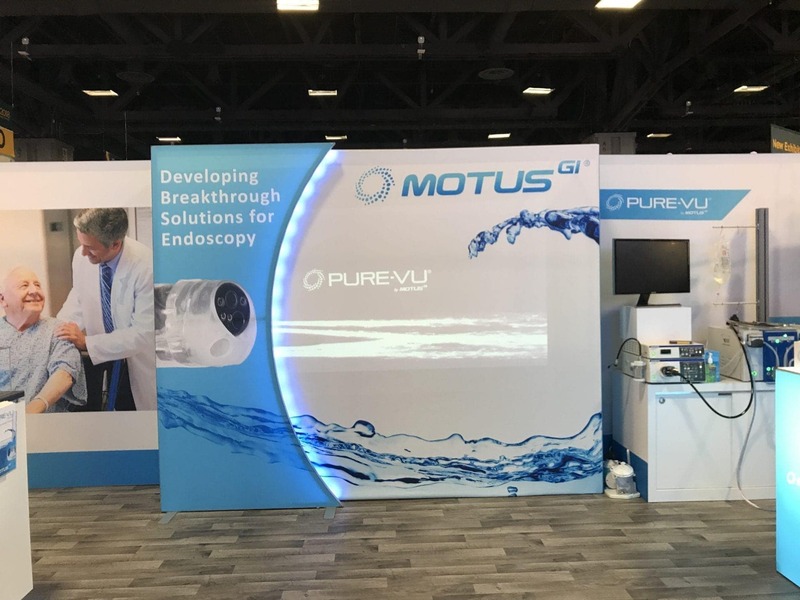 Holt Environments designed a rental backwall with rear projected flowing water, emulating the water vortex feature of their endoscopy product. Motus GI was very pleased with the light feel and the minimal footprint that allowed them to demonstrate their products to more visitors.